Square Enix has announced they’ll be revealing another new character for Dissidia Final Fantasy NT. The new character reveal will go down on May 15th at 8 PM Japan time, during a new broadcast for the PlayStation 4 game. Reportedly, the character will be from the latter half of mainline Final Fantasy games, and will be making his first appearance in a Dissidia title. You’ll be able to watch the new broadcast via YouTube and Niconico. This is the second of six new post-launch downloadable content characters Square has planned for the cross-series action-fighting game. The first character, Final Fantasy XII’s Vayne Carudas Solidor, was released last week. 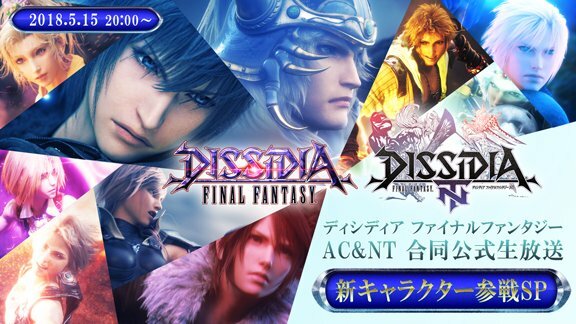 Dissidia Final Fantasy NT has been available worldwide for PlayStation 4.